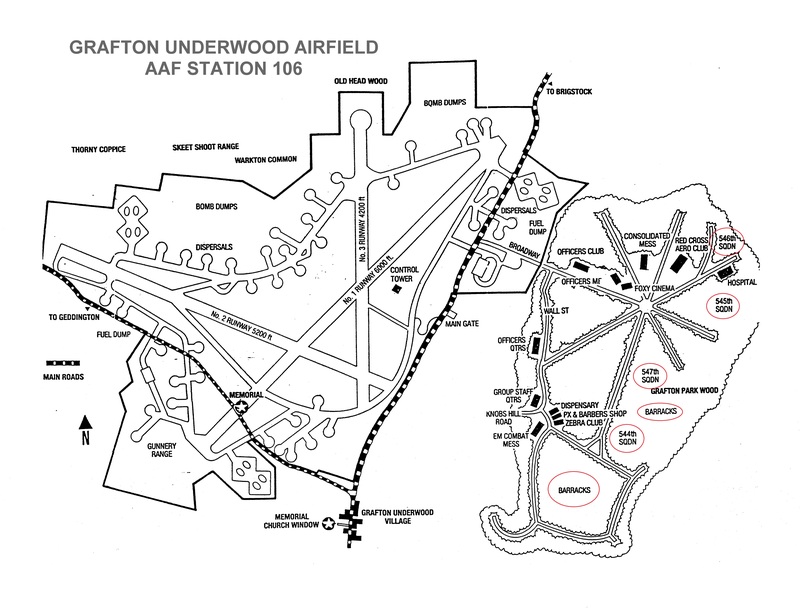 The 384th Bomber Group had an assortment of different types of accommodations for the base personnel at Grafton Underwood. 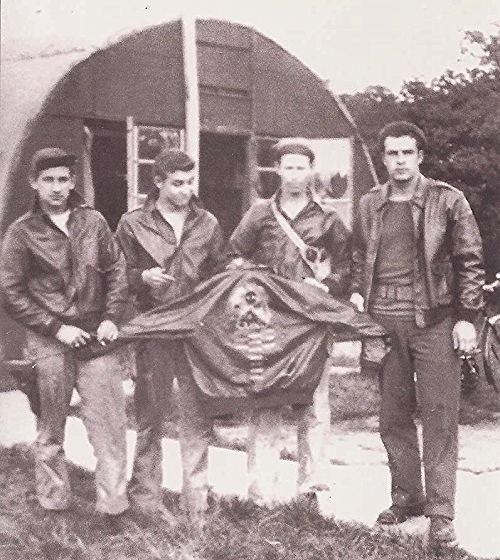 They were grouped within separate areas for each of the Bomb Squadrons – 544th, 545th, 546th, and 547th. On the left is probably David Franklin Albrecht and on the right is either Carl Guinn or Thomas Everitt. 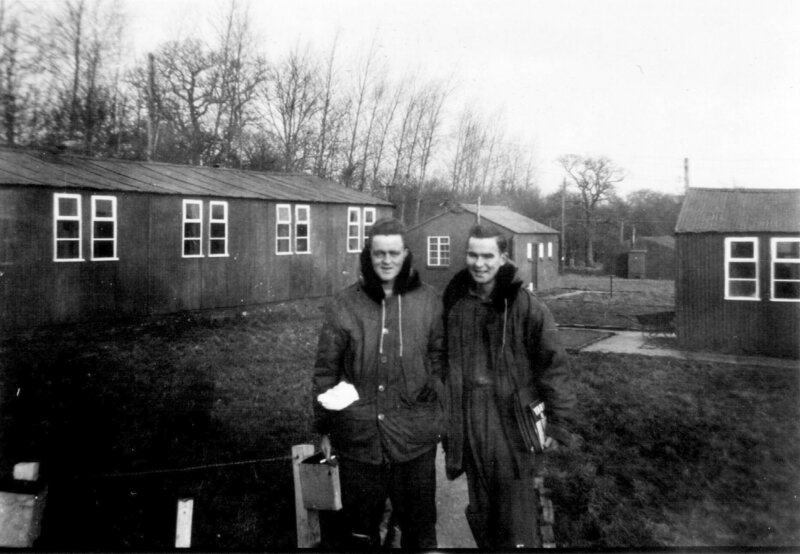 Barracks on the left and tent on the right, probably in the 544th Bomb Squad area of Grafton Underwood. Wallace Storey standing in front of his barracks. 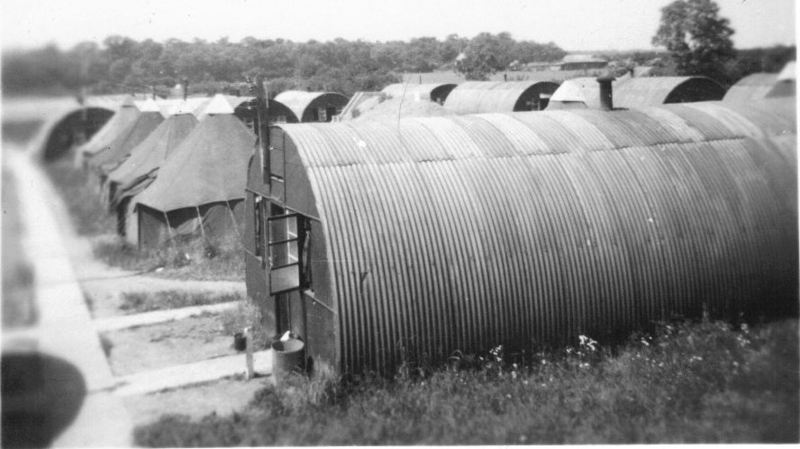 Nissen huts were buildings made of a sheet of corrugated steel bent into half a cylinder. Outside of England, they are commonly known as Quonset huts. 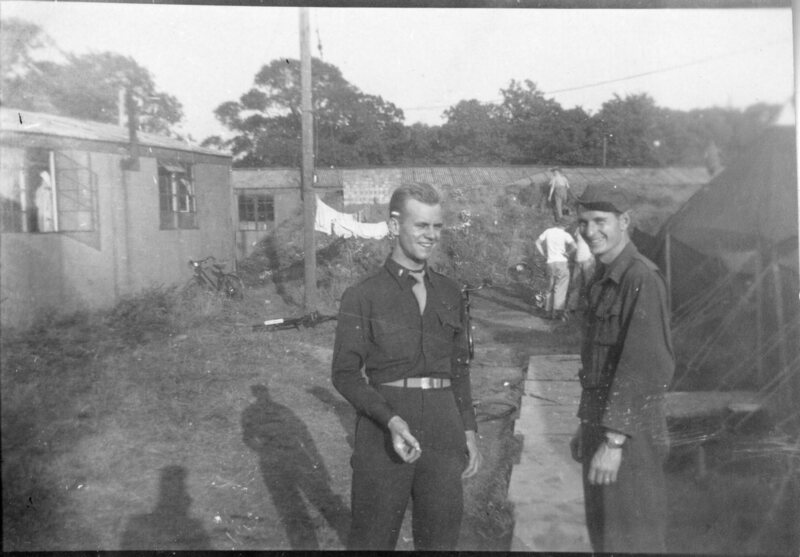 Fred Preller, webmaster for 384thbombgroup.com reports that his dad, Lt. Robert Henry (Bob) Preller, was billeted in a Nissen hut at GU from May to September 1944. He said it was always uncomfortably cold, and that was in the Summer. 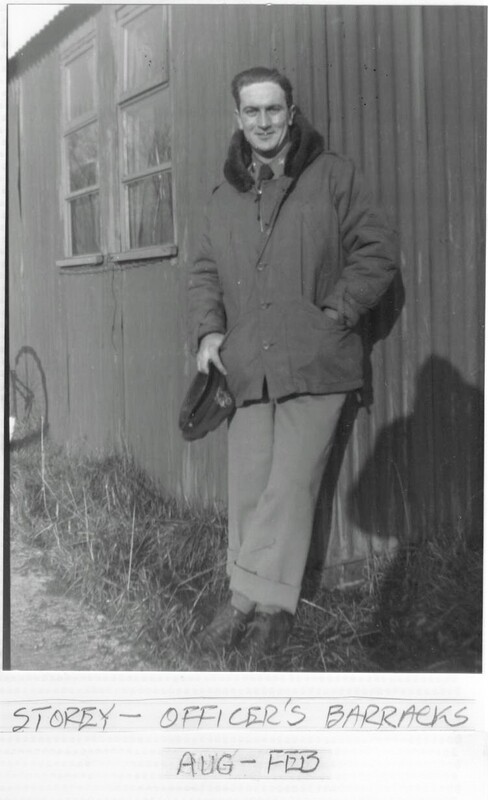 Radio operator Eugene Spearman was also billeted in a Nissen hut with fifteen other men. His hut had eight double bunk beds in it. Foreground – Nissen huts. Background – tents. Harry Liniger on the left, Robert Crumpton third from left. Other members of the Brodie crew. 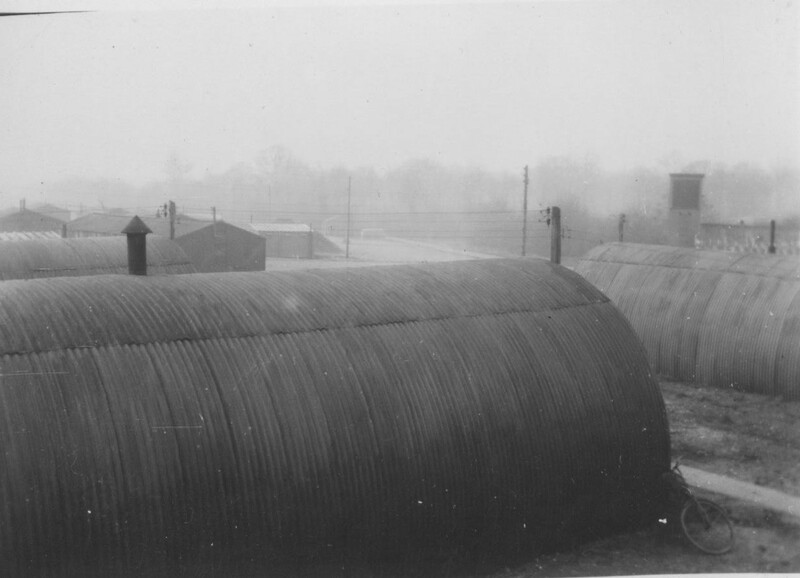 Nissen hut in the background. 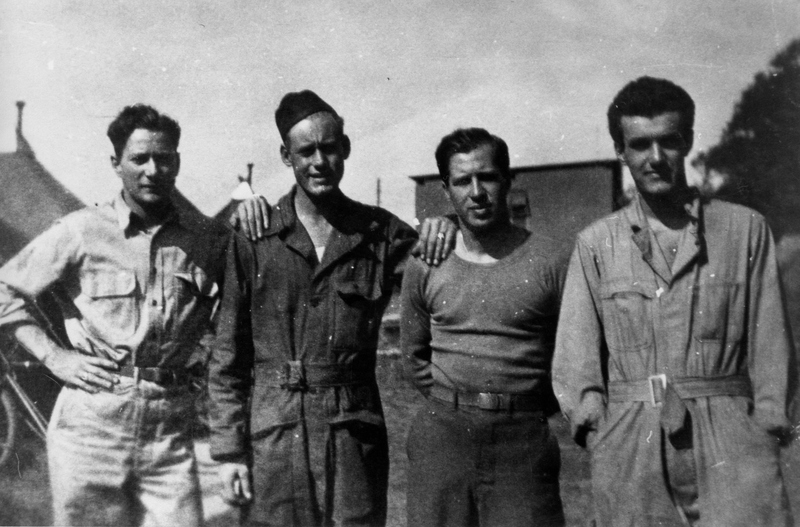 Left to right: George Edwin Farrar, Lenard Leroy Bryant, Erwin V. Foster, and Sebastiano Joseph Peluso. In the background (left) are tents, and (right) a latrine. On the left is either Carl Guinn or Thomas Everitt. On the right may be Richard Rafeld or one of the Norton crew. 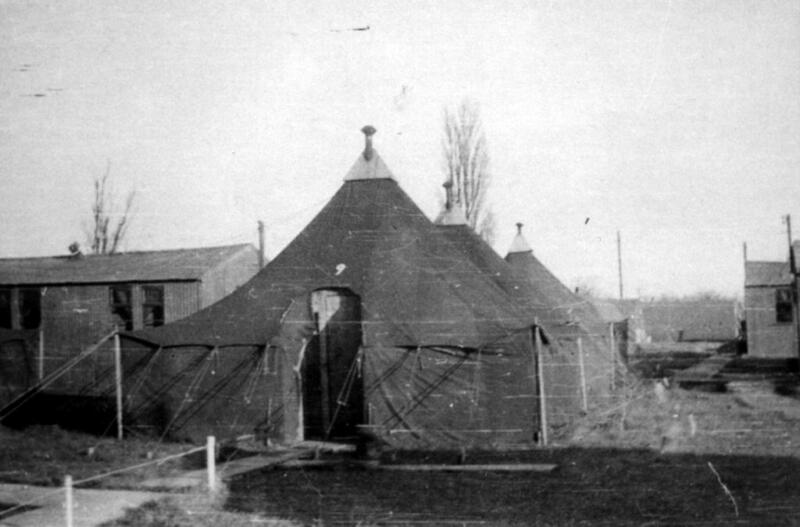 Tents likely in the 544th Bomb Squad area of Grafton Underwood. 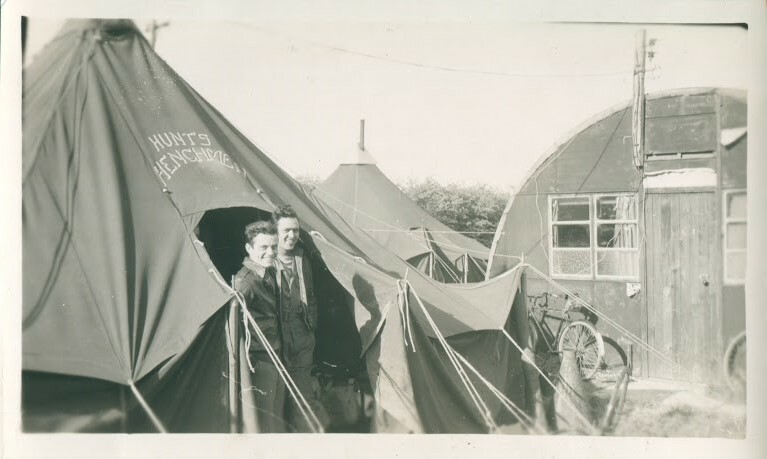 Enlisted men of the John Hunt crew in front of their tent. Cliff Linn and J.P. Vargas of the John Hunt crew in front of their tent. 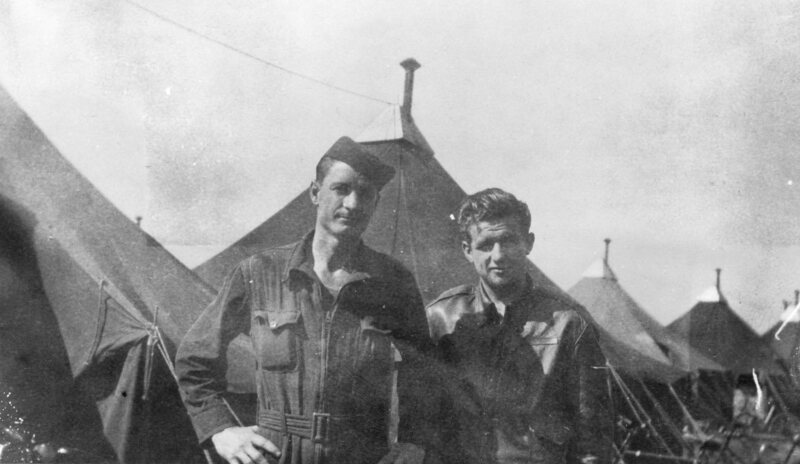 In his book, Initial Point, 384th Bomb Group radio operator David C. Lustig, Jr. explains the type of beds the men of the 384th slept on, what he calls the “three biscuit bunk.” Wooden bunk beds with steel springs were topped with British Army style mattresses. The mattresses were made of heavy ticking filled with a “wadding” material and were 26- by 26-inch squares. Three of these cushioned squares were placed end to end in a long muslin sack with a drawstring at one end. The resulting “mattress” was then 26 inches wide by 6 1/2 feet long and barely covered the steel springs of the bunk. 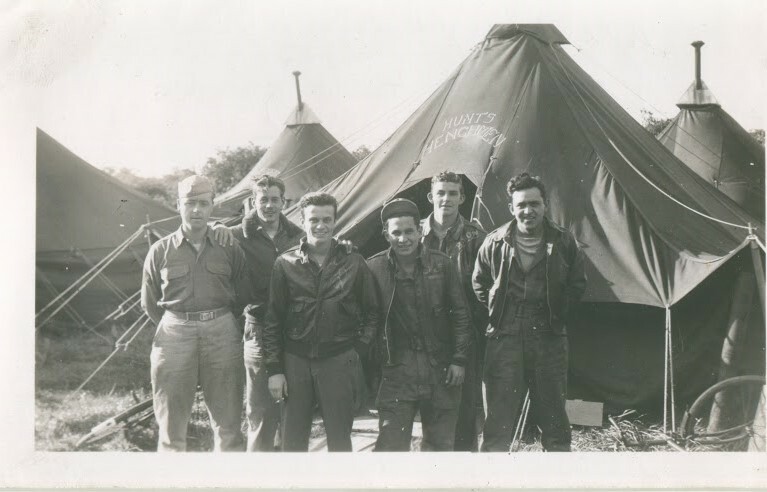 The Army Air Corps didn’t provide sheets to add any comfort to the setup, but instead provided each man with two wool Army blankets. By thearrowheadclub in 384th Bomb Group on July 13, 2016 .